WIND, at the surface of the earth, is proverbially uncertain; but recent researches show that, a thousand feet or more above the ground, wind is comparatively steady and unfailing. 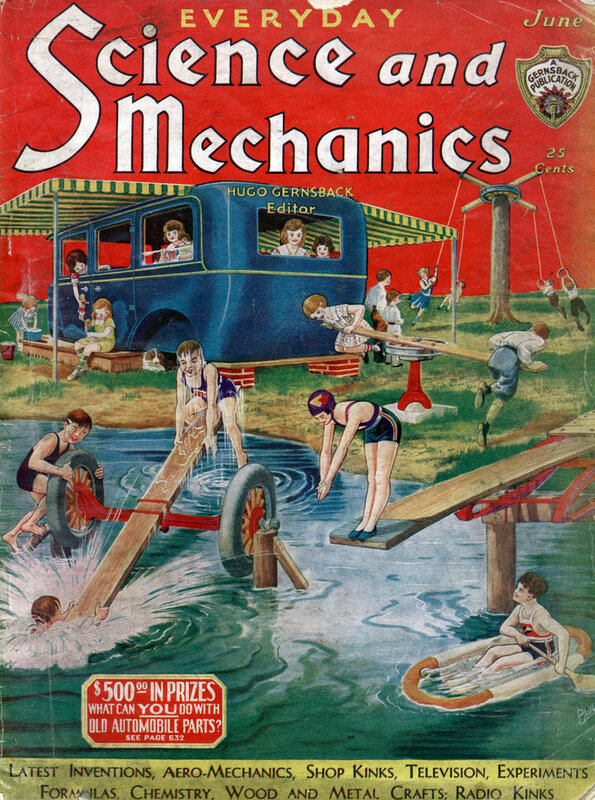 This has given new life to the hope of finding a substantial source of natural power, even more universally available than water power; and the designs illustrated here have been prepared by a German engineer, Honnef, the erector of several huge radio towers. As shown here, the structure carrying the power plant would be higher than any other building man has yet been able to erect. The method of generating the power is unique. Instead of gearing the great wheels to a generator, as in previous construction, each wheel is itself made the rotor of a great electrical generator. The rings are double; the armature and field coils are built into the outer and inner rings, respectively; and the output is fed into a distributing system, which has the necessary transformers and converters. The inventor plans 40,000-volt direct-current transmission lines. The cost of each 30,000-horsepower unit is estimated at $1,100,000; delivering 130,000,000 kilowatt hours a year with slight cost for maintenance. 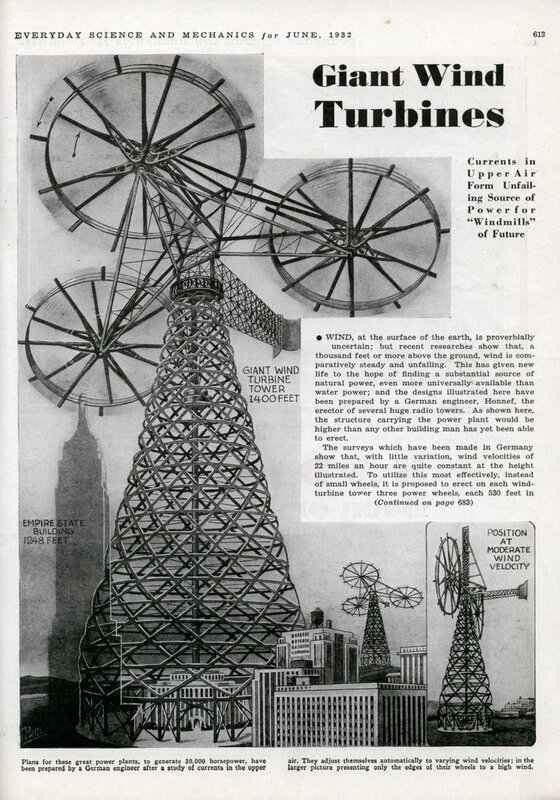 The first experimental tower to be erected is to be 665 feet high, with 200-foot turbine wheels, and located near Berlin.